I cannot believe it is March already! 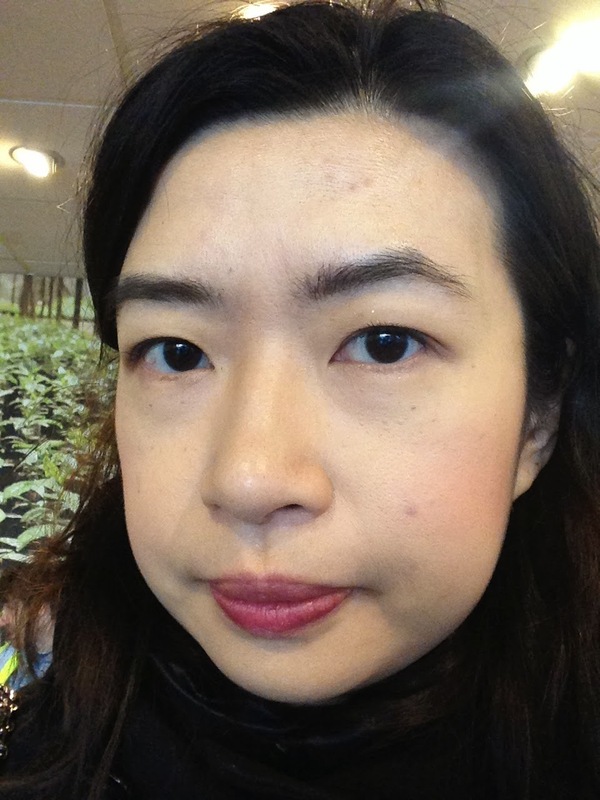 The London weather is still deciding its mind as to whether to let Spring arrives or not.. One day it is sunny with blue sky, the next day it is grey, wet and windy, but I am unconsciously changing my makeup to more Spring like. At the very least, I am more drawn towards lighter colours nails (see my posts here and here for my favourite transitional nudes at the moment). 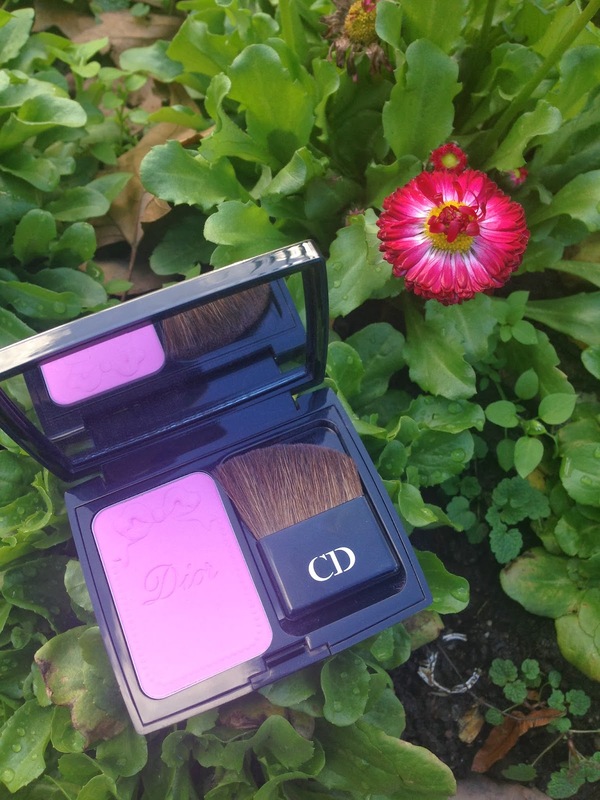 When Escentual.com had a 25% off on everything in late February, I had a random browse and saw Dior’s Trianon DiorBlush was still available! With the 25% off discount code, I could not pass up the chance to buy it! 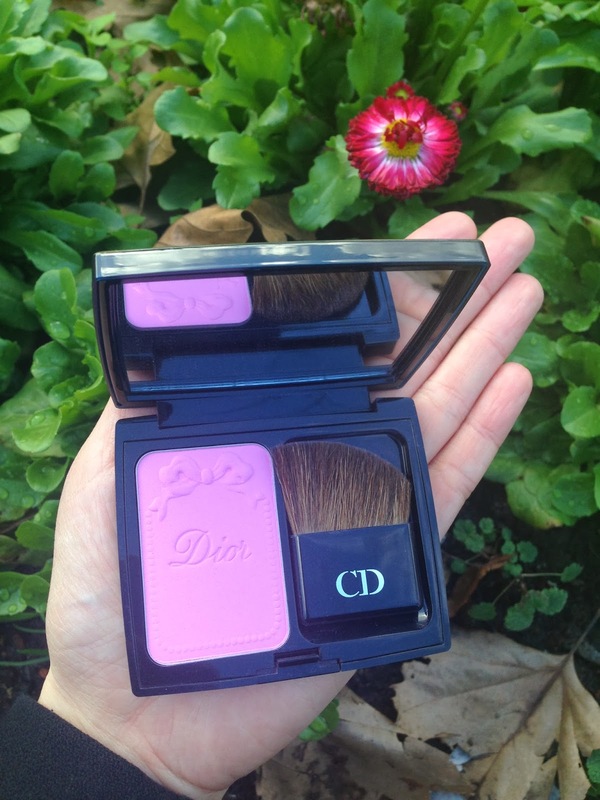 The Trianon collection is Dior’s Spring 2014 edition. It was released in mid-January. There are two blushes in the collection: 763 Corail Bagatelle and 946 Pink Reverie. I must admit that I was attracted to the packaging first. 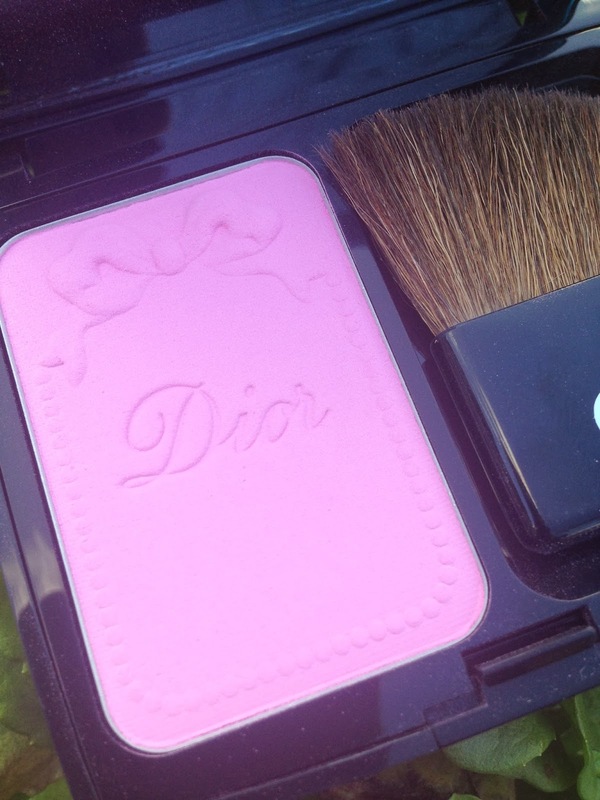 The blush is embossed with very cute ribbon and bow on the border with the word “Dior” in the middle. It was so hard to dap my brush in for the first time! I just didn’t want to ruin the embossing!!! Pink Reverie is a pastel pink that gives a fresh Spring look to the cheeks. It is a matte pink with no shimmer in it. Sometimes matte blush may seem chalky, but this one doesn’t. The pink is sheer when first applied, but certainly buildable. In fact, it is so buildable that it could be overdone if not careful. One minute I thought the colour wasn’t enough, the next I found I put on a bit too much! So I would say to blend it thoroughly, stand back and have a look into the mirror before applying more. 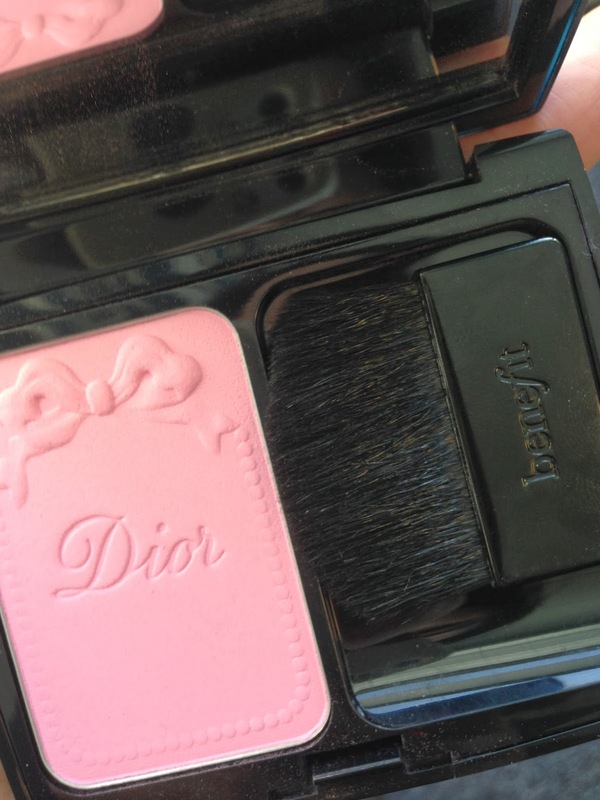 The compact comes with an angled brush, it is a nice shape and it appears soft. However, when I used it to pick up the blush, I found the bristle actually quite stiff. Because of the “stiffness”, the bristle seems to be scratching the surface of the blush, rather than picking up the product. I really didn’t like it. I happened to have a little brush from one of my Benefits box set, so I put that into my compact instead. The blush came out quite sheer on the camera, but believe me, it was a lot more vibrant in real life. The cute pink shade is a staple Spring shade. Yes, it is not cheap but it is a shade that I know I will go back to it time and time again. 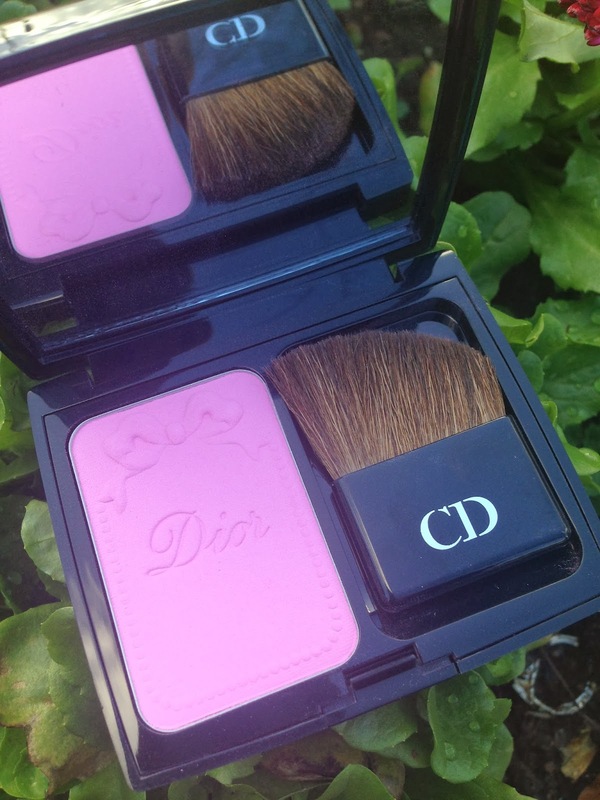 You can get Dior Trianon DiorBlush from Escentual.com for £25.90. It will save you some cash compare to normal retail price of £30.50. What blush will you be wearing for Spring?